When Mom and Dad bought Sean and I our first computer, the Atari 400, it came with the Atari 410 Program Recorder. 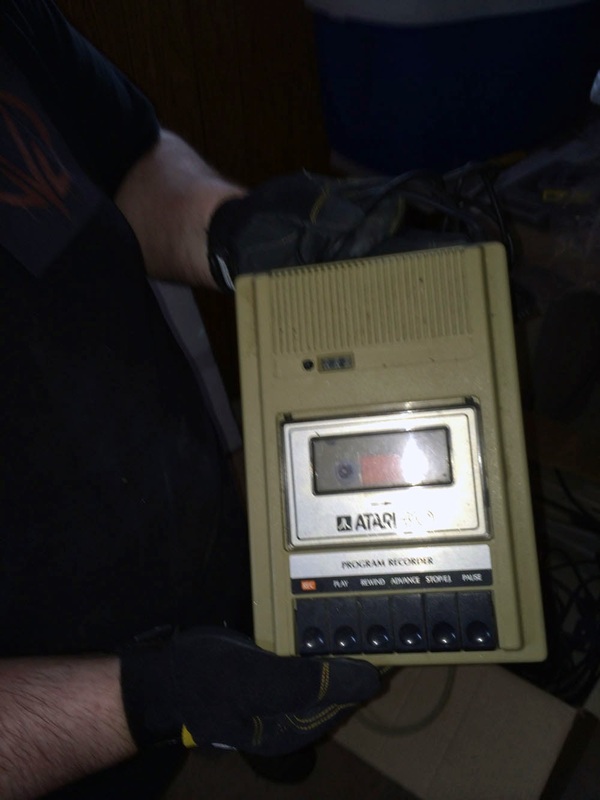 We used the Program Recorder to load games like SCRAM or Caverns of Kafka into the computer's memory or to save BASIC software programs of our own making, all using conventional cassette tapes. To load a program you booted up the computer, plugged the cassette into the 410 and pressed Play. For the next 30 to 45 minutes you'd be entertained by the bleeps, bloops, hisses and buzzes of the software being loaded up. Then, assuming something didn't go wrong at the last minute - which happened more often than not - you'd enjoy your game. Little wonder that cartridges and floppy discs were more popular.